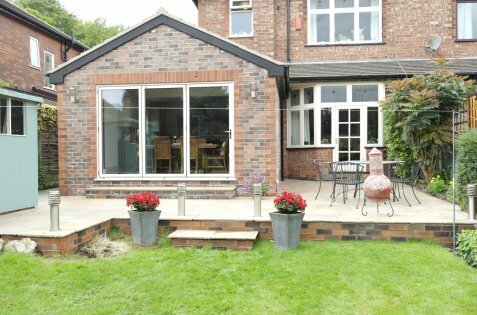 We are well-established and experienced builders from the North West that have been trading for over 15 years. We offer a wide variety of services from simple jobs to full build projects. All the work we do is carried out to a very high standard. We specialise in all aspects of the Building and Construction industry and have a reputation for reliability, professionalism and our quality of workmanship, aswell as being clean, polite and having good health and safety. We understand that having work done to your home can sometimes be stressful and inconvenient. At SB Builders we aim to do our up most to make sure that this is a stress free and comfortable time. We also like to have good communication with our customers throughout any job and like to build a good relationship with you when working in your home. We understand if we are working on your home your home is also your private place therefore we like to bring as little inconvenience to the home as possible. For more information, give us a call now on 07789073101 or view our enquiry page to send an email direct to us. Need a Home Extension or Structural Repair in Salford, Manchester or Bolton or any other building service in surrounding areas, call us today! Thank you.